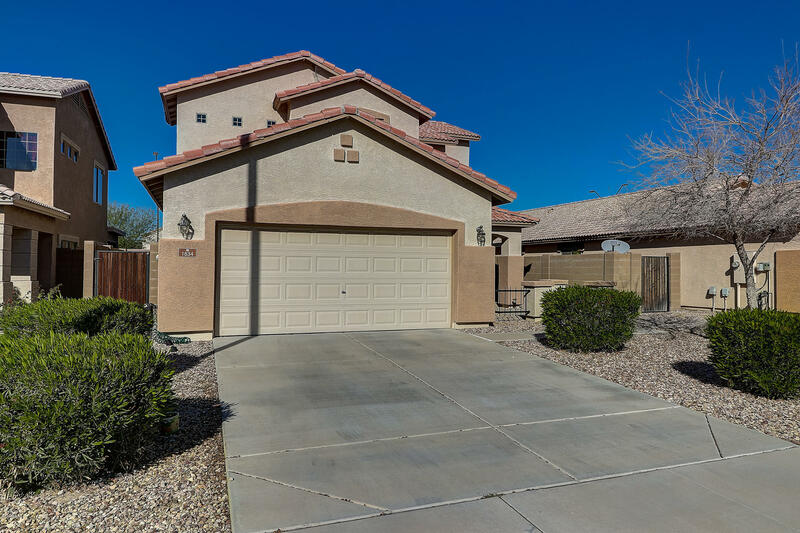 All SUNDANCE PARCEL 48 homes currently listed for sale in Buckeye as of 04/19/2019 are shown below. You can change the search criteria at any time by pressing the 'Change Search' button below. "BEAUTIFUL move-in ready 4 bedroom 3 bath home. Home features a bedroom and full bathroom downstairs. Large bonus room upstairs. Fantastic views from much of the upstairs. Playground and greenbelt just across the street. AC unit was replaced within the last few years. Many amenities nearby such as shopping, entertainment, and spring training facilities. Easy freeway access also close-by. Perfect back yard to relax or for entertaining."